The original gives the perfect bronzy glow. I rubbed it in while wearing latex gloves (to keep my palms clean) and it gave a subtle but bronzed look. I received several compliments about my 'tan' and this will now be a staple in my routine. A little on the expensive side but a small bit goes a long way. Incredible, what I've always wanted! I love it cause it feels good on my skin, easy to apply, makes my skin look younger and my husband love it on me. The only problem is it's expensive. Body bling is on a whole different level to the leading false tanning ranges out there, I was a die hard fake bake, and st tropes fan but you know after a few days and your tan fades and you're left with an uneven shade and many exfoliation sessions before you have to repeat the process all again... Well welcome BODY BLING goodbye fading, goodbye harsh exfoliating, and goodbye smelly tan! This product is amazing I think only a little product is all that is needed though. 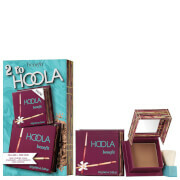 I used a generous amount on my first use and although it was very tan and rubbed in flawless, I know now not much is needed to see good results! Check out Scott Barnes on Youtube, he demonstrates how to apply the lotion and the results are amazing! If you have fair skin or don't want the dark bronzey Jlo glow, go for their platinum lotion and enjoy :) x Ps it lasts all night and washes off perfect!